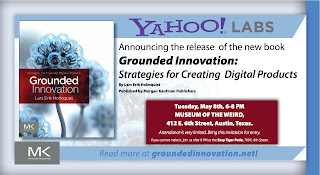 Grounded Innovation: Book launch activities! With the book officially out and in stock, it is time to go on the road! 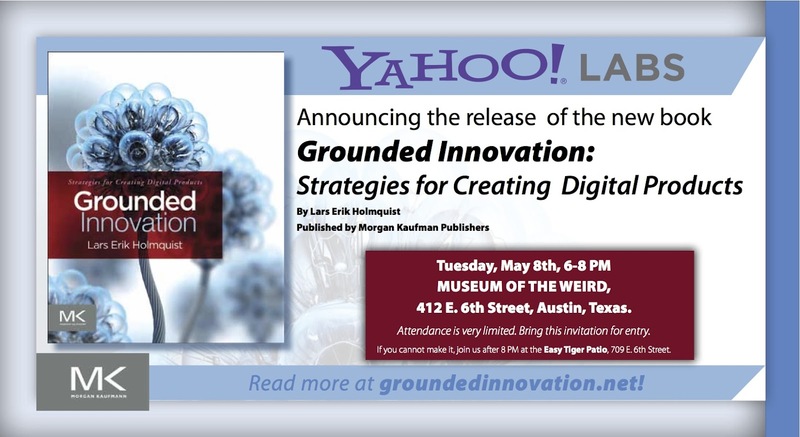 The main event is the official release party at the rather splendid Museum of the Weird in Austin, Texas on May 8 during the CHI 2012 conference - see invitation above! I hope to see you there! And if you want to book me for speaking engagements, feel free to contact me at larserik@yahoo-inc.com!